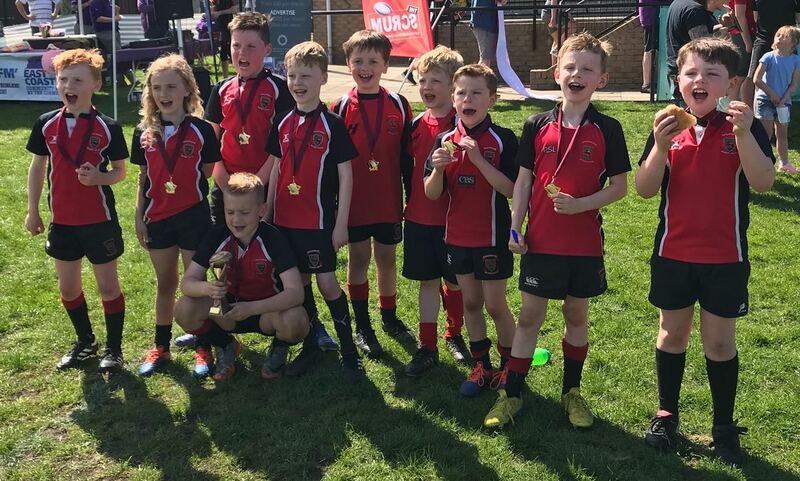 Another beautiful day another beautiful rugby performance! 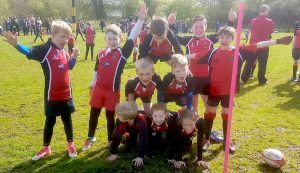 The P4s demonstrate their “human pyramid”! 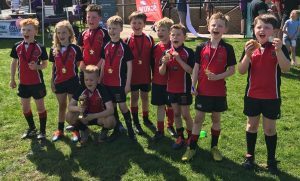 The P4s made it two wins in succession as they came away from PL with another set of winners’ medals. Like their P7 counterparts, it was great to see some different faces in the team as the big squad was put to good use. Well done! 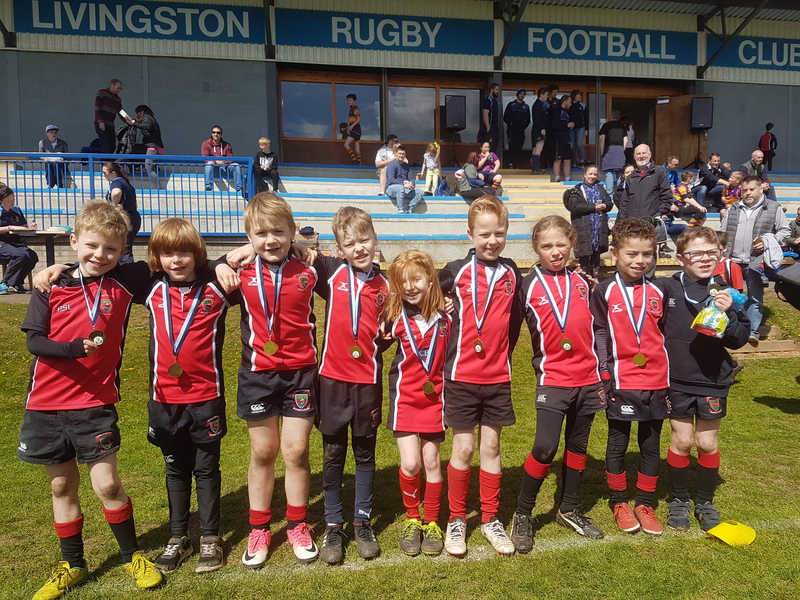 Congratulations to all the Wee Reds Mini teams on their performance again at the weekend, with the P4s and the P7s winning and the P5s and P6s finishing runners upin their respective age groups at the Preston Lodge Mini Tournament. 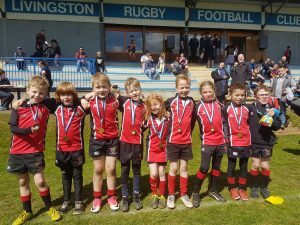 After a tremendous trip down in the Borders the previous Sunday, the Wee Reds were back in action at the Livingston Tournament this Sunday and once again came away with success across the board – the P4s and the P7s winning, while the P5s and P6s finished runners up and the second P6 teamfinished fourth! 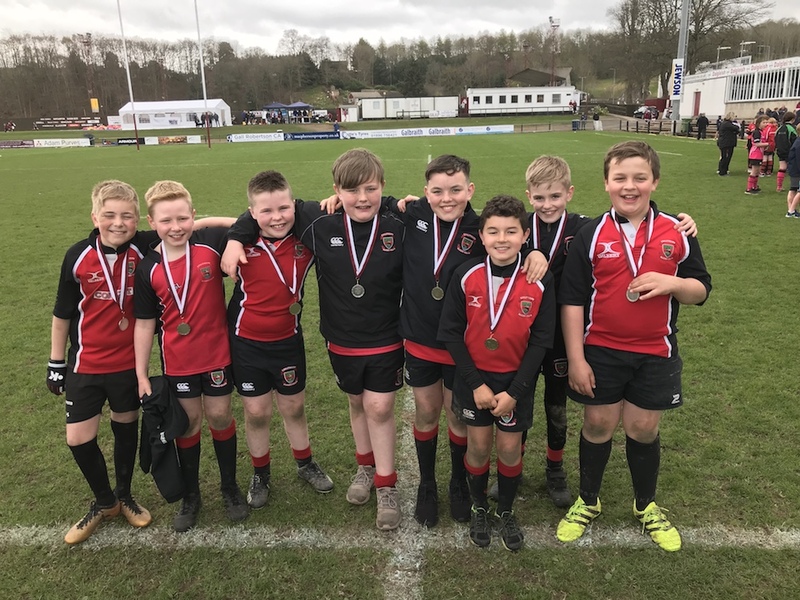 It was a tremendous day for the Wee Reds Minis in the Borders last Sunday when the P5s and the P7s both won their respective competitions, the P6s finished runners up and the P4s reached the semi-final in theirs. Well done to all the players, who all played a great brand of rugby in the true spirit of the game. 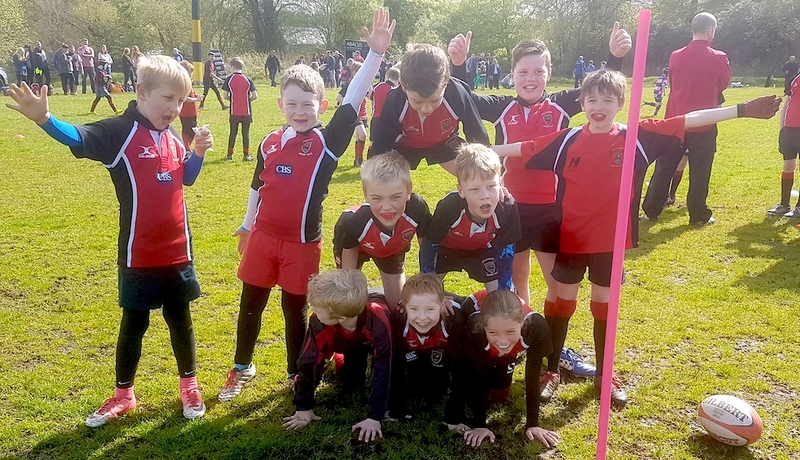 This Sunday the Wee Reds are off to the Livingston Mini and Micro Tournament – probably the first time that the P1s will have travelled to an away tournament. Our best wishes go to all squads and players. Chris Paterson was on hand to present the trophy and medals to the victorious Wee Reds P5 team on Sunday at the Gala Tournament. 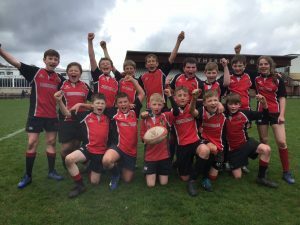 The P5s has an outstanding tournament winning all three pool matches against Hawick, Melrose and West of Scotland, before disposing of Selkirk by 6 tries to 2 in the semi-final. 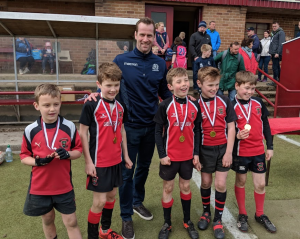 The final saw a rematch with Hawick and in an enthralling and exciting game, the Wee Reds emerged victorious by 4 tries to 3 to claim the trophy and individual medals which were presented by Scotland’s all time leading points scorer Chris Paterson, who praised the team’s offloading skills. 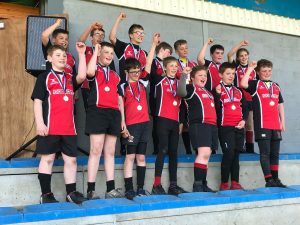 The victorious P7 team became the first team from outwit the Borders to win the P7 Trophy in the last 10 years. 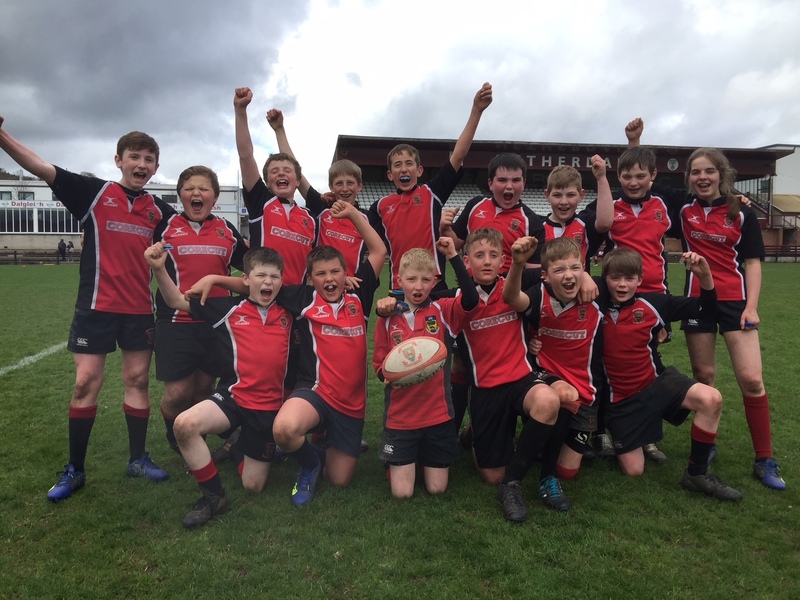 Congratulations to the P6 team (pictured above) who won all four pool matches – against Barbarians, Hawick, West of Scotland and Selkirk, before beating Gala in the semi-final, scoring an incredible 22 tries whilst only conceding 2 in the process. 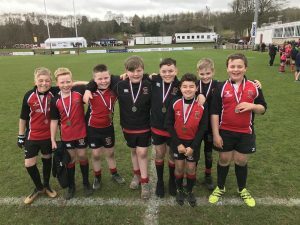 In the final, though, they came up against a much physically bigger English side – Morpeth – and the size did make a difference on the day. Brilliant effort though! This entry was posted in Uncategorised on 31st May 2018 by Ken Richardson.